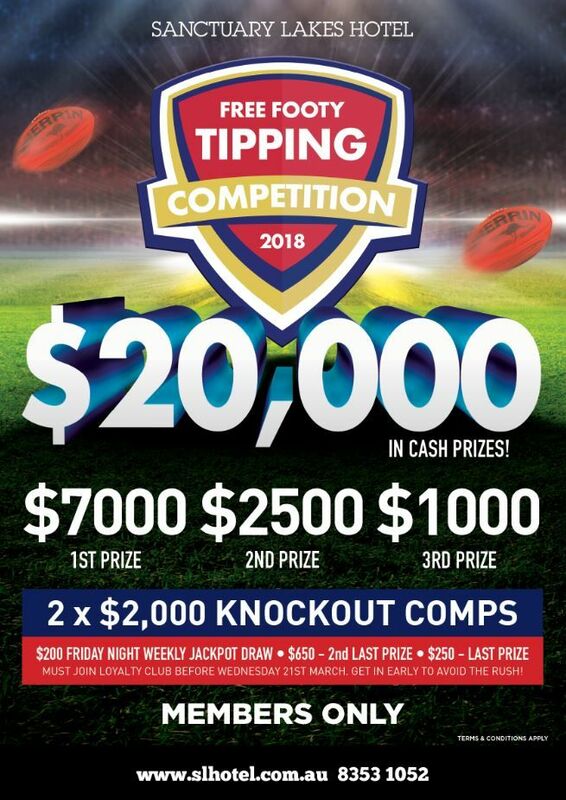 Dont miss out one of the LARGEST FOOTY TIPPING COMPS in Melbourne. Free entry for all SLHotel Members, free to become a member. More information call 8353 1052 or come into the venue.